The right honourable Henry Lord Brougham and Vaux, died at his residence here, may 7, 1868, aged 89 years. 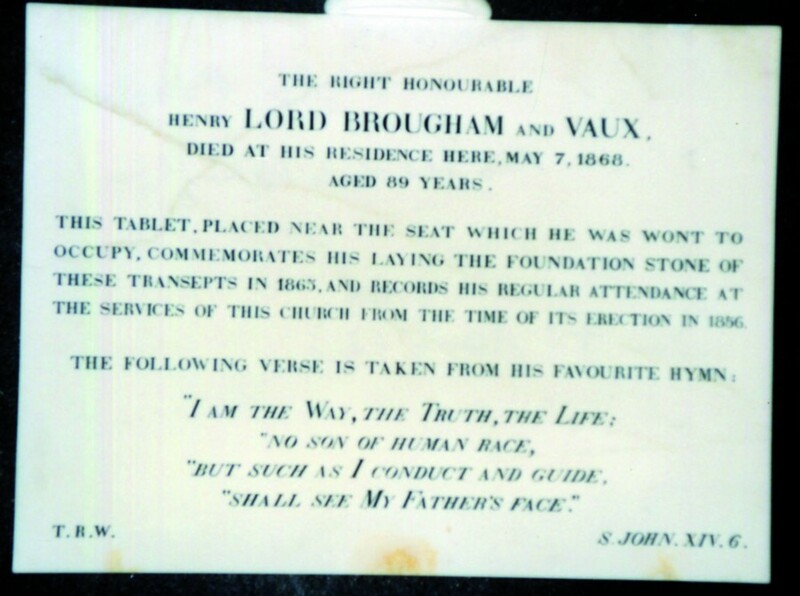 This tablet, placed near the seat which he was wont to occupy, commemorates his laying the foundation stone of these transepts in 1863, and records his regular attendance at the services of this church from the time of its erection in 1856. The following verse is taken from his favourite hymn : "I am the way, the truth, the life ; no son of human race, but such as I conduct and guide, shall see my father's face".